Listened to a podcast lately? If you have, you’re not alone. 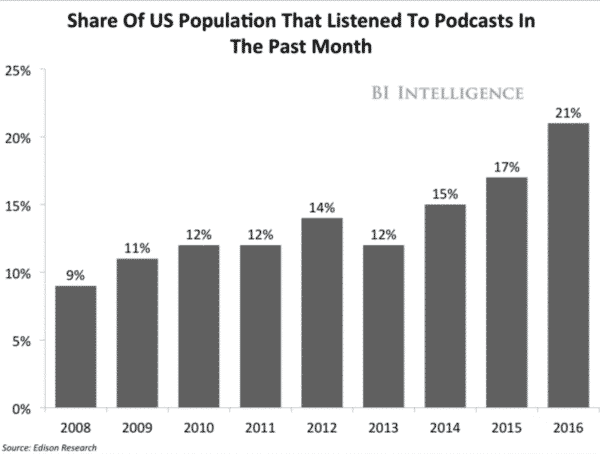 Podcasts are, by all measures, more popular than ever before. This infographic from Music Oomph has more stats on how quickly podcasting is taking off. If you look at the numbers, podcast listener numbers have been increasing for quite some time now. Improvements to both car and home audio devices (think smartphones and virtual assistants like Alexa) have certainly made audiences more receptive. But, if we’re to be honest, podcasts are also just pretty darn cool. Granted, most podcasters have not suddenly found themselves swimming in subscribers. 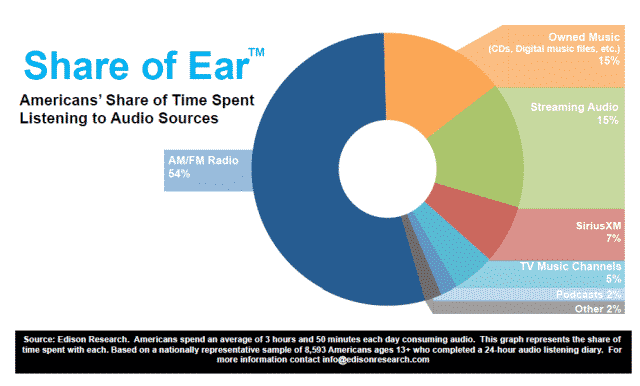 In 2017, 54% of all audio listening time still went to AM/FM radio and 15% to owned music and streaming audio (each). SiriusXM owns 7% of all audio airtime. Podcasts, by comparison, are still sitting at 2%. Podcast adoption is on the rise, but it’s not a solid and sustainable business model yet. That’s exactly why podcasters could be doing more to give their visitors a better first impression. For example, check out this Quora question. As it turns out, many podcast enthusiasts would like to tune in more often. But sometimes they just can’t. Maybe they’re in a noisy place without headphones. Maybe the speaker has an accent. Or maybe they just really need to scan quickly through a write up and CTRL-F search for a specific keyword or phrase. The truth is, while podcasts are awesome, they don’t exactly play nice with search engines - until now. You know how you can search for an article by headline, subheader, or even a particular sentence anywhere in the text just by typing it into Google? That kind of SEO transparency is a big reason why written content still dominates the web. It’s a lot harder to search for pictures, although recent improvements have led to Google image search. And it’s even harder to search for specific parts of video or audio content like podcasts. In fact, it’s basically impossible given the current state of search engines. Of course, this all leads to another very important question: What’s the right way to add a transcript to a podcast? Make sure to include timestamps in your transcription. You’d be surprised at the number of podcasters who don’t bother doing this. If you don’t include timestamps, it’s really hard for a reader to go to the corresponding part of the audio. When possible, don’t just copy and paste a transcript—format it like a blog post. That means editing, adding in subheads, etc. Search engines give blog-like posts far more weight than unedited or poorly formatted transcriptions. If you’re going to hire an editor, reduce costs by automating transcription. Some transcription services are still labor-intensive, while others use AI-supported transcription. The second option tends to be more affordable. Podcasters have a lot going for them these days, and they can confidently look forward to growing audiences and increasing engagement. But they still have to work within and respect the limitations of search engines if they want to be discovered. Keep in mind that even if Google, Bing and other search engines do add audio and video search functionality—transcripts will still be useful. It’s hard to beat a neat transcript when it comes to quick scanning and content consumption.